The W4000 is one of Kawasaki's most recent designs. 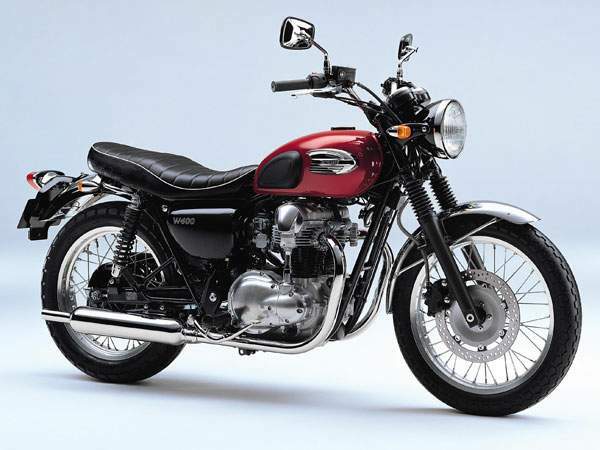 it uses the retro styling of Kawasaki's Wl, first built in the 1960s. Its air-cooled parallel twin engine has rounded cases and fins designed to recreate 30-year-old styling, and uses a bevel drive shaft to operate the overhead cam. The rest of the bike also harks back to the past. 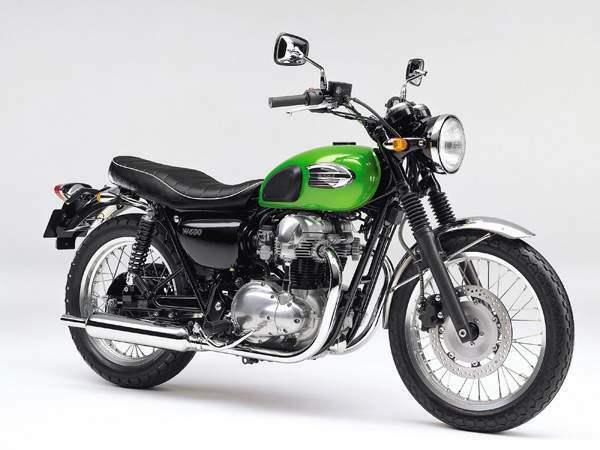 The fuel tank wears rubber kneepads, the low-slung silencers use a classic peashooter design, and the rubber fork gaitors and kickstart would almost convince the casual observer that this was indeed a bike from the 1960s. The W400 isn't totally devoid of modern components though. The engine has electric start, and the front disc brake is decidedly up-to-date.